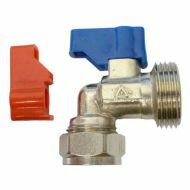 American fridge freezer water supply plumbing components. 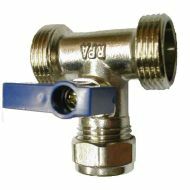 The most common size of pipe used is 1/4 inch (outside diameter), it's a little bit bigger than 6mm (it measures about 6.25mm OD). 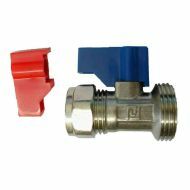 Push fit fitting to connect 1/4 inch plastic pipe into fridge freezer water inlet. 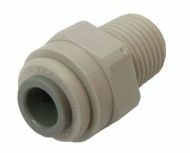 The threaded piece has a 1/4 inch male American NPT thread which is commonly used on the inlet of a fridge. 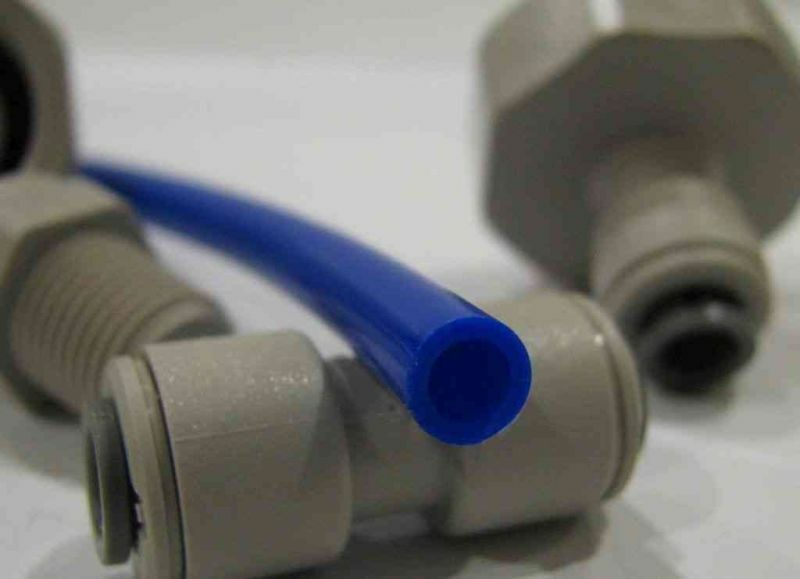 Coupler to join 1/4 inch plastic fridge tube / pipe to a 3/4 inch BSP thread (3/4 inch BSP is the thread size used for washing machine hoses). 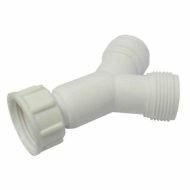 1/4 inch LLDPE plastic water pipe for American style fridge freezers / water filters / reverse osmosis systems, sold by the metre. 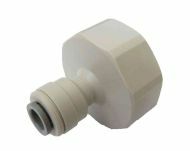 Outside diameter : 1/4 inch (1/4 inch is a little bigger than 6mm, about 6.35mm). 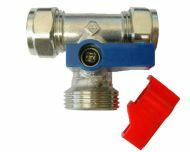 1/4 inch pipe x 3/8 inch pipe push-fit coupler - suitable for plastic and soft metal tubes. 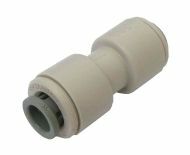 Push fit coupler / connector to join two pieces of 1/4 inch plastic tube / pipe (also suitable for soft metal tubes). 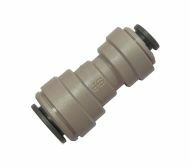 Very useful in the supply pipe to an American style fridge freezer and water filter / RO systems. 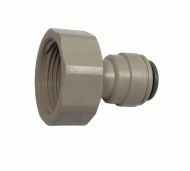 3/4 inch BSP to 3/8 inch pipe connector. 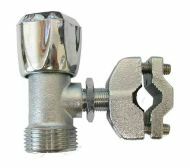 Quarter turn lever valve / tap with 15mm compression pipe connection on one end and adaptor fitting for 1/4 inch American fridge freezer pipe.